Mr. Clutch (pitcher) – Madison Bumgarner picked up his ninth win last night, holding the Dodgers in check, allowing only two runs off three hits while striking out nine. Bumgarner has never been considered one of the elite pichers, yet he continues to perform at a high level each time out. For the seaosn, Madison Bumgarner is ninth on ESPN’s player rater. He faces the Padres next Thursday. Mr. Clutch (hitter) – Carlos Gonzalez continues to be a mainstay in this section for games like last night against the Diamondbacks. Gonzalez went 4-for-4 with a home run putting, his total up to 24 on the year. Friday night, he was held out due to a back injury, but that did not seem to hamper him Saturday night. Start him with confidence going forward. Surprise, surprise! – Andrelton Simmons was the big winner last night going 3-for-5 with a home run pushing his total up to seven on the season. While Simmons is having a solid year, he is just 12th on ESPNs player rater for the year. The power has been a pleasant surprise; his previous career high in homeruns was just three. A double-digit homer total for Simmons is a real possibility. 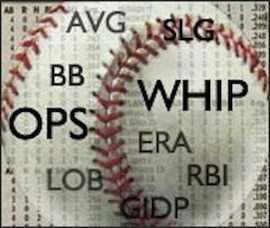 Here comes the heat – Kyle Seager has been hot this past week, and it continued last night as he jacked a home run off a rather dominate Mat Latos. In the past week, he has hit three home runs and is currently enjoying a six-game hitting streak. Though he is bound to cool off from this hot week, he has proven to be a viable fantasy option going forward. Left out in the breeze – The Angels piled it on against the Red Sox, scoring nine runs and yet Mark Trumbo somehow came away from the contest going 0-for-5 with three strikeouts, pushing his average down to .247 on the season. Trumbo’s fantasy value lies in his abilty to hit home runs, and with 19 on the season, he has been very valuable. He should be a lock to hit 30 plus home runs. Who’s trending? – Brian McCann has been a hot pickup this week and for good reason. He is currently enjoying a three-game hitting streak including last night, when McCann went 4-for-5. McCann has been very streaky this season, and right now he is hot. If you are lucky to own him right now, enjoy the streak. Bench me, please? – Billy Butler‘s struggles continued last night with another 0-for-4 contest, dropping his batting average down to .274. For the month, he is batting .158 with zero home runs. Butler needs to benched until he can turn things around, but you may need look at other alternatives if this poor play continues. Hefner cruised to his third win of the season Tuesday, giving up one earned run on four hits and two walks with six Ks in seven innings against the Diamondbacks. Spin: This was his sixth-straight start in which he allowed two or fewer earned runs, which makes him worth a look in most formats. During that stretch, he’s faced perhaps the best lineup in the league in the Cardinals, while also getting the best of the Rockies in Coors Field, so it hasn’t been all cake match-ups. He’ll look to keep up his impressive streak Sunday in Milwaukee.